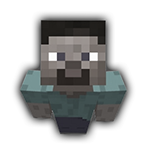 GreenishTroll - Viewing Profile: Profile Feed - SixtyGig - The Minecraft server for mature gamers. It was me but I banged my head on a bridge, made my eyes water. Castles? I take it you have built them in the past?